I can’t even begin to explain how many times I’ve gone on a business trip or a meetup group only to forget my business cards. Randomly, my boss began attaching his contact information in a QR code within his email signature. At first I thought it was kind of a lame conversation starter until the lightbulb went off in my head. 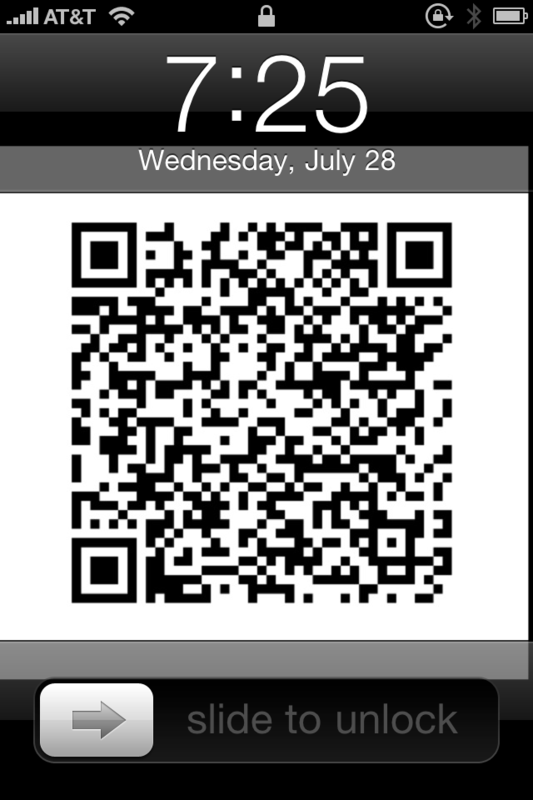 What if my iPhone wallpaper was a QR code with my info on it? Without further adieu, my brand spanking new (21st century) business card. Good idea! I’m going to reference this page in a future post.